"Imagine the possibilities if we brought students together from different areas of the world for a summit that challenged them to break through cultural misunderstandings, that challenged them to envision solutions for a better world", said co-founder Julie Lindsay, then Head of E-Learning at Qatar Academy. "If virtual connections via global projects can promote enhanced understanding and a world view, think what a face-to-face opportunity might bring". With this aim, the first Flat Classroom™ live event in Qatar saw students coming to the Middle East from geographically diverse locations. Students of different nationalities, from varying socio-economic groups and diverse school systems came to find out how to flatten their learning through cultural exchange and the use of emerging technologies. In the words of Edgar from Ethiopia, "It's about connecting, about bridging, about different communities. Learning is not always about 1+1, learning about different cultures and the world as a whole is really important, and it helps to make the world more of a global village". Within one hour of the first student workshop, laptops had been distributed, essential Web 2.0 tools explored and, with the help of a building-wide, robust wireless network at Qatar Academy, a backchannel opened to connect those face-to-face with each other as well as with those participating virtually. Conversation was prolific as students chatted for real and online about the challenges they were being asked to take on while virtual participants contributed ideas, resources and support. At that point in time we realised the power of social learning, of allowing learners access to tools to support exploration, connections and collaboration that lead to creations that make a difference to the world as we know it. "We don't all ride camels, you know." "We don't all act like that comedian Jeff Foxworthy says - we're not all red-necks in South Georgia." I smiled as I saw the two students instant messaging as they worked on the Flat Classroom™ project. "For some reason, students have a hunger and a desire to blast through stereotypes and it is often their first order of business before getting down to some very intense learning," says co-founder Vicki Davis of this incident. This is exactly what Flat Classroom projects are about. As we've hosted almost twenty projects and three face to face events, students are telling us that they've used social media to improve their social lives and now they are ready to improve their academic lives. Learning is becoming mobile and ubiquitous (everywhere) for these students. 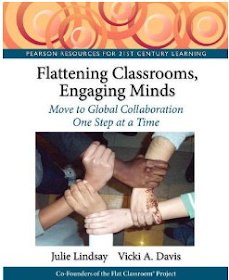 A new pedagogy is evolving that incorporates true global collaboration where students are partners with those in other classrooms. Rigorous technological abilities are coupled with digital citizenship, and a challenge-based interdisciplinary learning environment. The Flat Classroom™ Project is a global collaborative project that joins together middle and senior high school students. This project is part of the emerging trend in internationally-aware schools to embrace a holistic and constructivist educational approach to work collaboratively with others around the world in order to create students who are competitive and globally-minded. The project was co-founded by Vicki Davis (Westwood Schools, USA) and Julie Lindsay (Beijing (BISS) International School, China) in 2006 when Julie (then in Bangladesh) and Vicki joined their classrooms together for the first time to study and emulate the emerging flattened learning environment. The Flat Classroom Project 2006 is featured in Chapter 13 (pages 501-503), 'If it's not happening it's because you're not doing it', of the 2007 edition of Thomas Friedman's book, The World is Flat' upon which it was based. One of the main goals of the project is to 'flatten' or lower the classroom walls so that instead of each class working isolated and alone, 2 or more classes are joined virtually to become one large classroom. This is done through the Internet using Web 2.0 tools such as Wikispaces and Ning. The Project uses Web 2.0 tools to make communication and interaction between students, teachers, expert advisers, class sounding boards and other participants easier. The topics studied and discussed are real-world scenarios based on 'The World is Flat' by Thomas Friedman. The use of social networking technologies is pedagogically relevant. Combined with an holistic and multicultural approach the walls of a classroom can be broken down. Our experience with the Flat Classroom Project has reinforced the approach that learning takes place in many different ways, times and places. 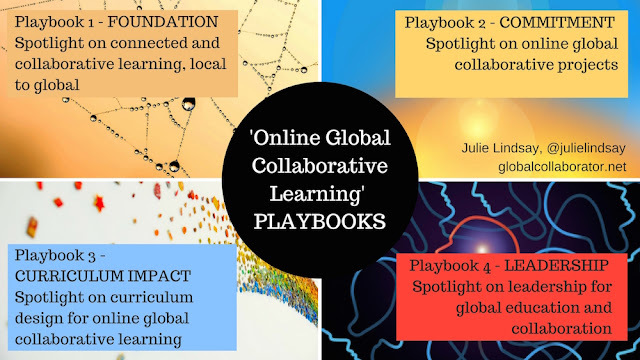 It also shows us that the research that emphasizes the effectiveness of cooperative learning, genuine assessment, and project-based learning can occur when students are literally on opposite sides of the globe. The benefits of such a project are far-reaching. Social learning theory and research has shown us that sociability of online learning combined with interaction can help promote understanding. Our highly connected world gives educators the global imperative to connect our people. Flat Classroom™ Projects have the power to produce world-class students with a world view, based on understanding, and not misinformed bias from the media. It will require many hard-working, well informed, ethical, diligent teachers and visionary administrators to give them the framework to operate. 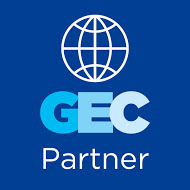 students are grouped with global partners to explain trends, give personal viewpoints and create a video containing an outsourced video segment from their global partners. Further projects have developed since the original Flat Classroom Project in 2006. These include Digiteen (digital citizenship focus for Middle School), NetGen Education Project (in conjunction with Don Tapscott, and uses the Eight NetGen Norms from his book 'Grown Up Digital', in conjunction with the most recent Horizon Report on emerging technologies); and Eracism, (our newest project, developed as a result of the winning student pitch and video at the Flat Classroom Conference in Qatar, 2009), piloted as a global debate between lower Middle School classrooms. In addition to a series of regularly offered global projects (some are now offered 3 times per year), Flat Classroom co-founders now also run workshops and a biennial conference. 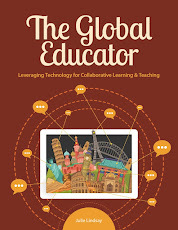 The aim of getting together in the one place is to fully extend and foster connections and collaborations that will ultimately improve classroom practice and pedagogical approach using technology as part of a global flat classroom. The first Flat Classroom Conference held in Doha, Qatar January 2009, changed lives and cast a vision for the future of education. 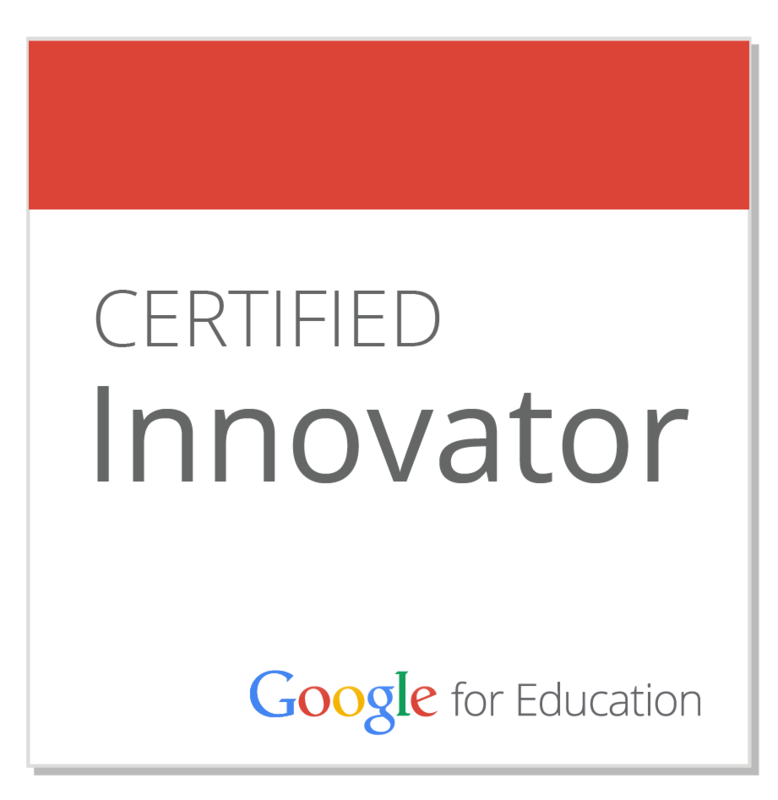 Students, educators and leaders came from over 20 countries to learn how to flatten the classroom walls using emerging technologies. Students were immersed in a challenge-based project that asked them to go beyond their comfort zones by working with team members from different cultures. Through an envisioning process teams created ideas on how to join classrooms together and improve understanding globally. These ideas were pitched to educators for feedback, then refined into a final presentation put up to an international vote. The top 3 teams then spent time developing their idea further and using multimedia to do a final pitch. It was through this process that the idea for Eracism was born, and became a reality as a global project 6 months later. Since then Flat Classroom Workshops have been held in Hong Kong and Mumbai. These have included student and educator teams, working on ideas such as the 'digital divide' and 'opening up education' and challenging themselves to devise exciting ways to improve opportunities for learning globally. In February 2011 the Flat Classroom Conference will be held in Beijing, China. The conference will provide opportunities for leaders in education, classroom teachers (pre-service and in-service) and administrators as well as students to learn with and from each other in a 'flat classroom' model. It is envisaged the workshop / conference experience will culminate in actions that are then shared around the world and sustained by continued projects based on community and curriculum needs. Laptops and other mobile devices, in conjunction with access to wireless connectivity, as standard requirements for these live events, provide access to virtual and global participants as well. This virtual participation piece in addition to the live 'face-to-face' events includes interaction with, and in fact immersion into teams and development of ideas, and is a unique 'flattening' model in itself. Not only are sessions video streamed out to the world, but a ubiquitous backchannel, along with Skype, and Elluminate virtual classrooms provide immediate and purposeful connections between workshop participants. Cemented by the use of wiki technology for collaborative authoring, and essential multimedia tools for video sharing, participants brain-storm, research, collaborate, create and evaluate alongside their 'real' members just as well as alongside their 'virtual' team members. Flat Classroom Projects and events are transforming learning through global collaboration and building the bridges that tomorrow's society will walk across. Is there a global collaboration in your future? Flat Classroom co-founders, Julie Lindsay and Vicki Davis have been featured in various media for their flat classroom set of projects, including Thomas Friedman's, The World is Flat, Don Tapscott's Book, Grown Up Digital, Curtis Bonk's Book The World is Open, Suzie Boss and Jayne Krauss' Reinventing Project Based Learning, Lawrence Peters' Global Education, and media outlets such as the Wall Street Journal, and the Boston Globe. They also write often for a global audience via their blogs and educational networks. Our Flat Classroom Conference and events website is at http://flatclassroomconference.com Come and join us in Beijing, February 2011! I commend your initiative for bringing people of different cultures together for common goal of learning. elearning authoring tools certainly enable collaboration from different parts of the world.